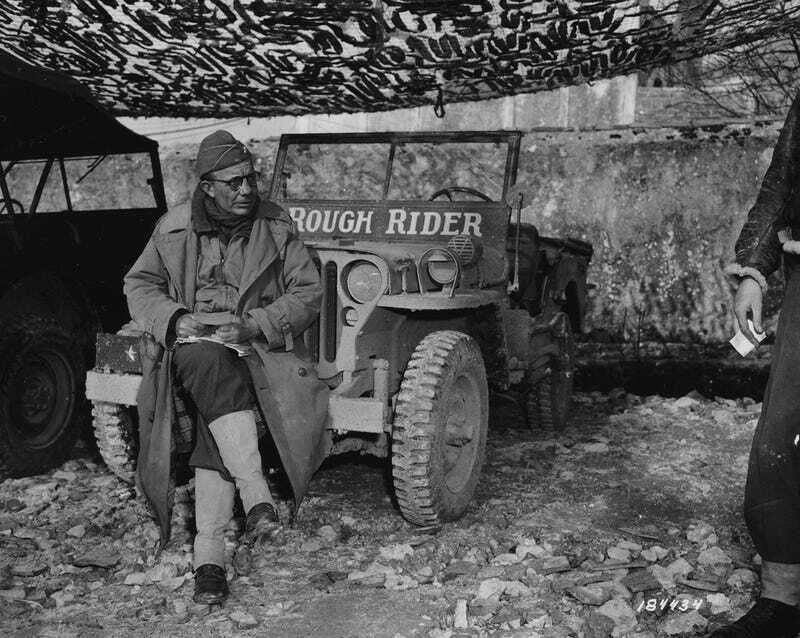 General Theodore Roosevelt Jr. Eldest son of Teddy and a badass in his own right. Served in WWI on the front lines and again in WWII. He volunteered and was the first general to hit the beach on D Day even though he was in his 50s, walked with a cane and had other health issues due to his WWI service. When General Omar Bradley was asked to name single bravest thing he saw in combat and his response was "Ted Roosevelt on Utah Beach." His calm on the beach,and in providing in the spot leadership during the landing, greatly aided those very first minutes, and early days, of the invasion. I found the picture of the jeep and read its background. I hadn't heard the story of TR Jr, but is an interesting read. He came from a privileged background, but wasn't afraid to get his hands dirty.